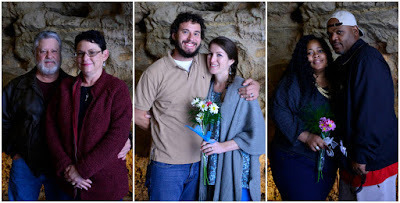 All In One Wedding Venue - Ceremony AND Reception at Bridal Cave! If you got engaged on or around Valentine's Day you are probably still really excited about the engagement, telling your proposal story to your family and friends, and overall ecstatic about the what lies ahead for you and your fiance! After you have time to let everything sink in, it's time to start thinking about a wedding date and location. One of the most incredible places to get married at the Lake of the Ozarks is at Bridal Cave and we even have a great reception venue with a million dollar view of the Lake of the Ozarks! Get Married Inside Bridal Cave If you are planning a small wedding and you are a couple looking for a unique venue, then Bridal Cave may be the perfect wedding venue for you. It is an absolutely breathtaking backdrop for your nuptials with a lot of history. Over 3,500 couples from around the world have exchanged vows here with us. Our underground Bridal Chapel can accommodate up to 50 standing guests. Support the Special Olympics at the Polar Plunge THIS Weekend! The Polar Plunge takes place every year at the Lake of the Ozarks and it benefits the local Special Olympics athletes by "plunging" into the Lake of the Ozarks in the middle of winter! This event shows your bravery as you support local Special Olympic athletes. This is a fun annual event at the Lake of the Ozarks and you won't want to miss the fun atmosphere complete with music, crazy costumes, and making memories. Our family attraction at the Lake of the Ozarks has the event details below! 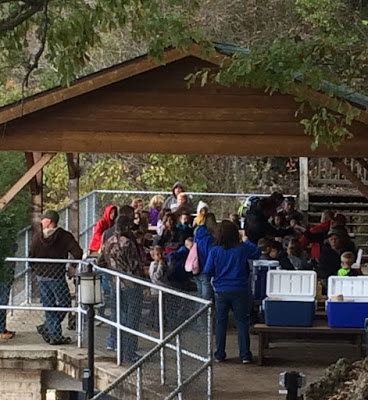 Top Educational and FUN Field Trip Destination in Mid-Missouri! 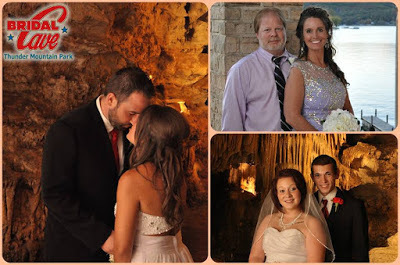 Bridal Cave and Thunder Mountian Park is both FUN and educational! That's what makes our attraction at the Lake of the Ozarks the perfect destination for school field trips. During our field trips, our knowledgeable guides take school kids on an adventure in learning all about the history, geology, and biology of our unique ecosystem. Each spring we take thousands of children of all ages on an exciting trip they'll never forget. Learn more about our educational field trips below! Discovery Tour 2 Hours, 2 Caves, 2 Classrooms & a FREE Flashlight Our Discovery Tour is our most popular choice for school field trips. 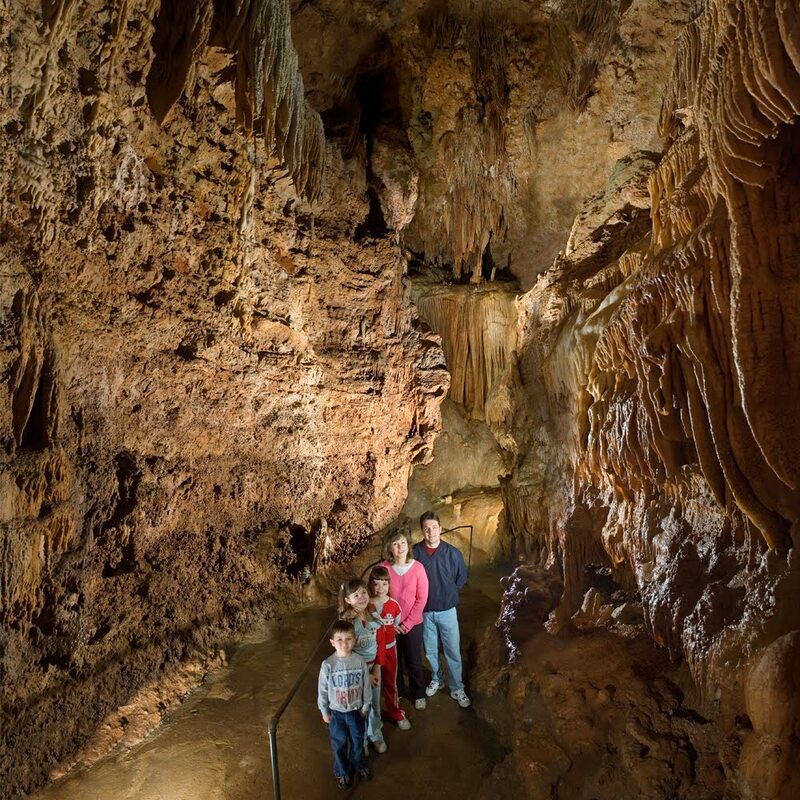 The Discovery Tour includes the historic Bridal Cave tour with a 1/2 mile nature walk with two outdoor classrooms and a SPECIAL flashlight tour of Bear Cave. Each child receives a souvenir flashlight they get to take home.